Tamil Pic Gallery: San Francisco! De Young Museum, a permanent museum with a section which houses temporary exhibitions. De Young Museum was opened in January 1921 as part of the California Midwinter International Exhibition in 1894, the museum has a very diverse collection of art including paintings, pre-Hispanic works from Teotihuacan. Peru, and tribal art from Africa. De Young Museum is also home to exhibitions of American decorative pieces, textiles and paintings from the Rockefeller Collection of American Art. Many locals and visitors enjoy a cup of coffee, breakfast or lunch at the De Young Museum restaurants and cafes overlooking the backyard and interesting c ollection of statues. Do not miss the final and 9th history of the museum, which offers spectacular views of Golden Gate Park. San Francisco Legion of Honor is pure example of classic art located in the northwestern part of San Francisco. Legion of Honor was established following the Palais de la Legion d'Honneur in Paris (which stands beside the famous Orsay Museum and is on the left bank of the Seine in Paris). What kind of statues found in the front yard of the Legion of Honor? What they represent. In the center is a fountain which reminds us of N Versailles, France, on the left side of the San Francisco Legion of Honor (as you face the museum) is a statue of Jeanne d'Arc, in the middle, you can see the statue of Rodin called " The Thinker. " The original (le penseur) found in the Rodin Museum in Paris, France. On the right side was rider of El Cid designed by Anna Hyatt Huntington. On the right side of the fountain is found Holocaust Memorial. From this Angel, we can picture the Golden Gate Bridge, San Francisco skyline and Twin Peaks. As you leave the Legion of Honor run through Lincoln Park Golf Course, take a right and enjoy Miley Park, it offers picturesque views of the rugged Pacific coastline, the seal rock and cliff house. Why this Dutch-style windmill at the western side of Golden Gate Park? In 1901 John McLaren decided and San Francisco Golden Gate Park Administration to build a windmill in the west side of Golden Gate Park, just off the Pacific Ocean. This strategic location on the windy Pacific Ocean side generates enough wind to run this new windmill to pump water to water the Golden Gate Park flowers and trees. You can picture the windmill from different angels: the Cliff House from Sutro Park, from the Pacific Ocean, and right next to the windmill in Golden Gate Park to admire the beautiful flowers as tulips ... In 1903, this windmill has been restored to its original appearance as a gift from Queen Wilhelmina of The Netherlands. This mill is located a hundred yards south of the famous Cliff House. From the wind you go or bike to explore the other wonders of San Francisco Golden Gate Park, including the Botanical Gardens, San Francisco Japanese Tea Garden, the De Young Museum, Academy of Science and much more. Marina District is the area lying between the Bay from the north side, Fort Masson & Van Ness (east), Lombard Street North, and Crissy Field & Golden Gate Bridge from the west. Marina Development sand on a dump created after the earthquake, the 1906th But that neighborhood is located on the place in the 1915 Panama-Pacific International Exposition. Today, only the palace of Fine Arts still stood witness the golden era of the 1915 Panama-Pacific International Exposition. We got to admit that San Francisco was a need for such an international fair to bring it back to San Francisco after the devastating earthquake and fire occurred back in 1906. 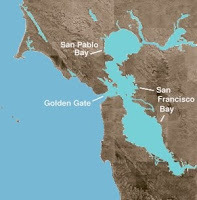 The area was largely created out of rubble dumped into San Francisco Bay during and after the earthquake in 1906. Marina was now one of the best districts wanted to live. However, the area is very expensive and not everyone can afford it!